When transitioning from high school to college or from an undergraduate degree to a graduate degree, there is one thing you will notice immediately: the workload is much larger and the schoolwork is much more challenging. For many students, this can be too much, especially for those taking many difficult classes. However, even if you feel as if your grades are not what they used to be, there is no need to panic. All you need is college assignment help from some of the finest writers and editors at AssignmentGeek.com. Even if your major involves more practical than theoretical work, it will likely still involve a large amount of writing. Many students struggle to get their ideas down on paper in a coherent way, even when they have a solid understanding of the material. A better way to show off your knowledge is by working with a professional writer who holds a degree in your area of study. College essays are the most challenging of all writing assignments, as it can be hard work to find exactly the right wording to present your ideas. 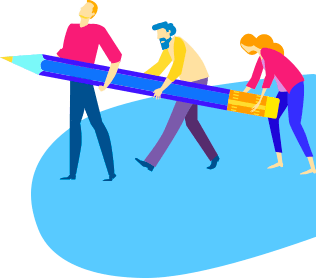 When you receive professional support through our custom service, you will have the opportunity to choose a writer who you feel has the skills to create the perfect essay for you. You can choose from a range of writers, specializing in subjects including computer science, philosophy, history, chemistry, and psychology. Never allow a few pieces of schoolwork to come between you and your academic success. If you are trying to hold down a part-time job or your college writing assignments are getting in the way of your social life, buy homework from AssignmentGeek.com instead of rushing to churn out poor-quality work. College students know that homework assignments are a guaranteed part of the college experience. And these assignments hold more weight than you may think. You might have slacked off in high school, but you have to be serious about your homework in college. First of all, it affects your GPA. If you want to stay within good standing, you will need to cooperate by completing all your work and turning it in on time. Good work is how your instructor knows that you understand what is being taught in the class. Also completing your college homework will strengthen your skills by allowing you to practice and study what you have learned. If you complete your work regularly, you'll likely be better prepared for a quiz or exam should one come up. However, there is a way to get college assignment help. If you are struggling with your school work, all of this may seem very difficult to accomplish. But there's good news. You can get online college homework help very easily. The sooner you purchase help, the closer you'll be to bringing up your grade and excelling in your courses. Homework is very important. Finishing it shows your professors that you actually take an interest in the class. If you always turn in poor quality, late assignments, then your grade is in trouble. So go the extra mile today. The right help from experts can bring you to where you need to be in your classes.